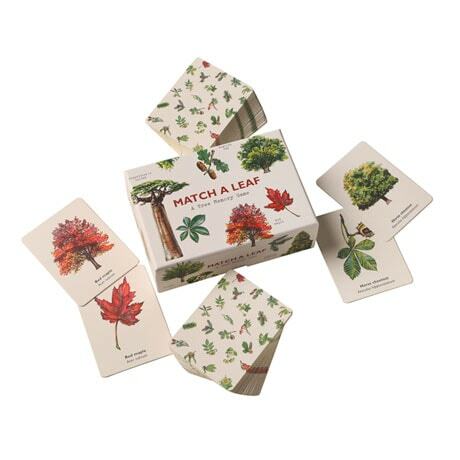 Test your knowledge of the natural world—and add a dose of fun to your learning curve— when you try your hand at our Match a Leaf Memory Game. Your goal: Match the leaves on each card with the corresponding tree cards, from the flaming Red maple to the prickly Sweetgum to the blue-green-needled Scotch pine. The accompanying booklet includes brief descriptions of each of the twenty-five trees highlighted in the game, along with interesting tidbits: The wood of the English holly is often used to make piano keys, Gingko is older than the dinosaurs… After a few rounds, your strolls through the woods will become so much more interesting!